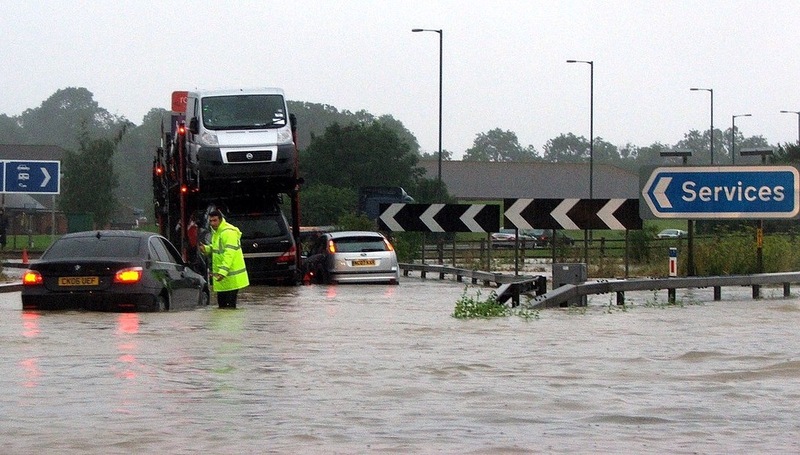 When we talk about flooding, or issue flood warnings, we always think about what the likely impacts on people, property and essential infrastructure (big roads, railways, water works, power stations) will be. The more severe the impacts the higher the level of warning. 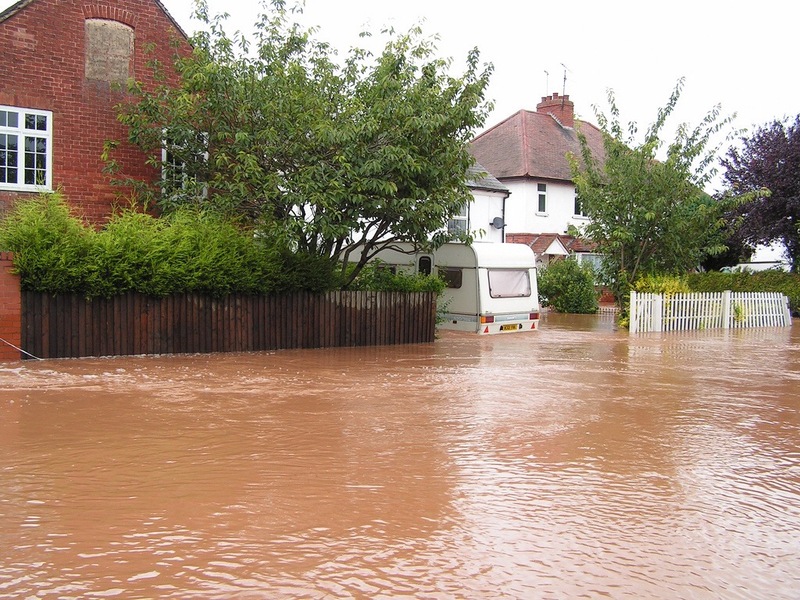 The terms we use to describe flood risk are also governed by the level of expected impacts. This blog provides some examples of those different impacts. 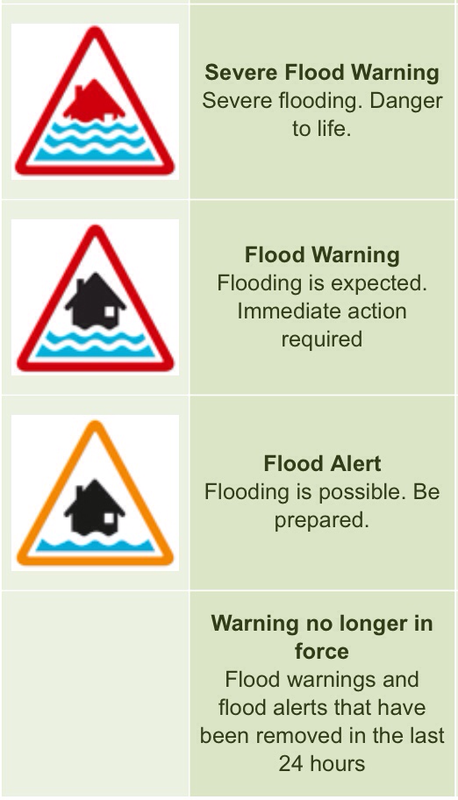 We issue three levels of flood warning: flood alerts, flood warnings and severe flood warnings. You may well be familiar with the graphics and descriptions we use (below). 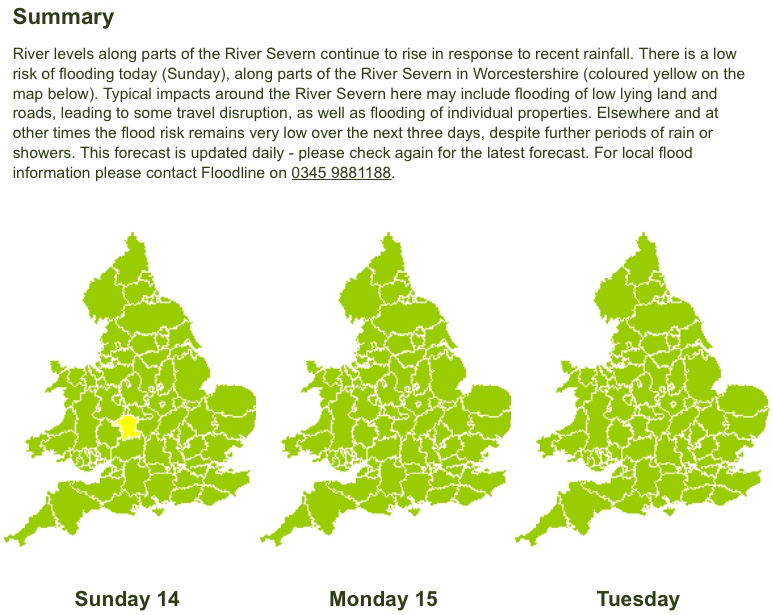 We also publish a daily three day outlook of our assessment of flood risk by English County. We use green, yellow, amber and red colours to describe the forecast risk. Green represents a very low risk, yellow low, amber medium and red high. 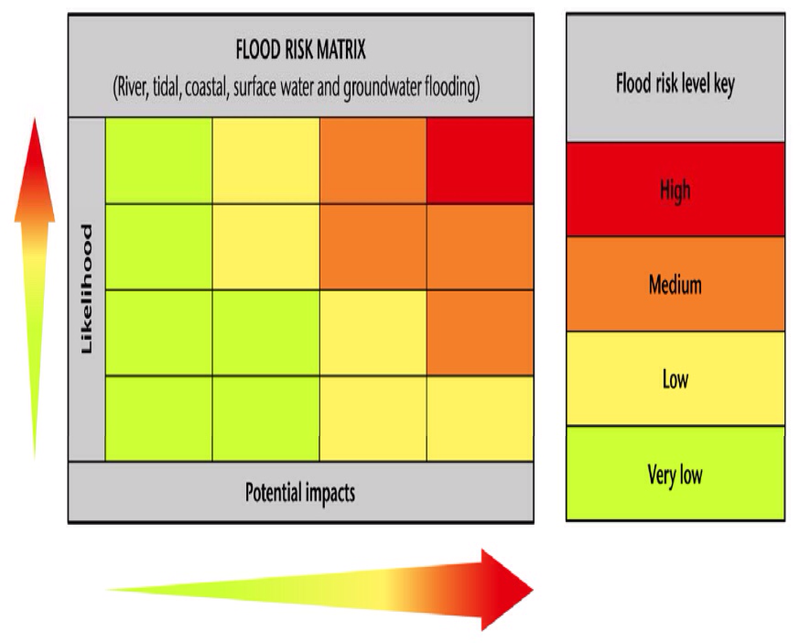 The colours don’t just reflect the likelihood of flooding but also the impacts it will cause. We use this matrix to decide the colour to use. So what should you expect to see at these different levels of warning or risk? Here are some examples and pics. At our lowest level of warning or risk we’d typically expect rivers to be coming out of their banks with water entering floodplains (rivers don’t burst their banks, they simply come over the top!). 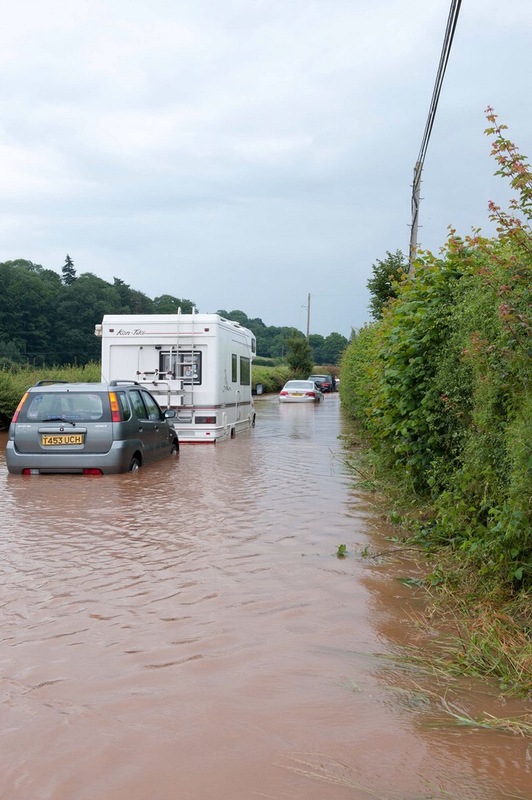 Impacts may lead to minor disruption and flooding to low-lying roads and gardens. 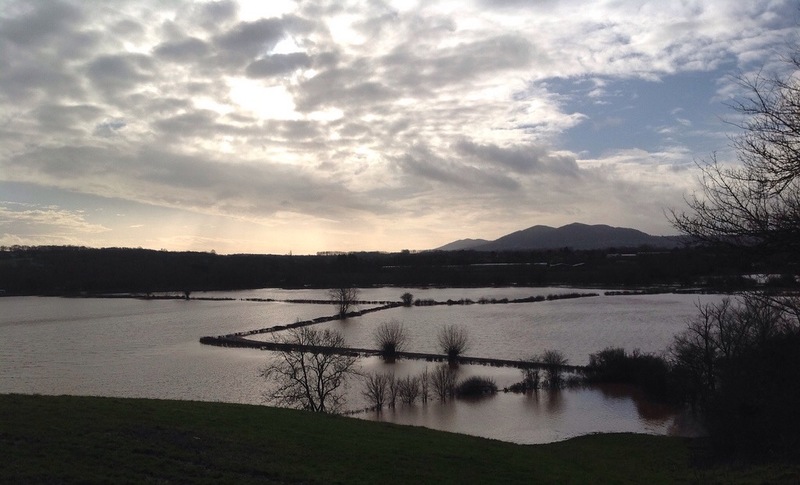 You might see large areas of farmland in floodplains flooded, sometimes requiring livestock to be moved to higher ground. 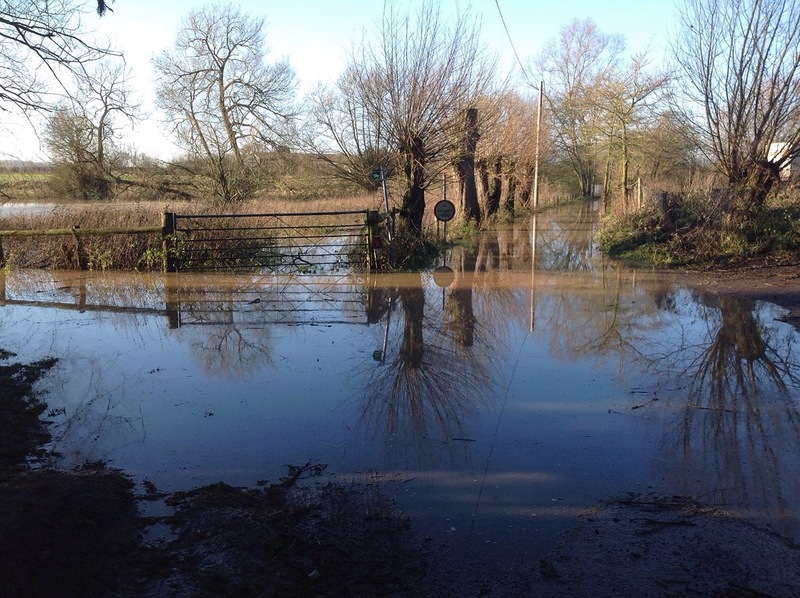 Minor roads flooded and impassable. 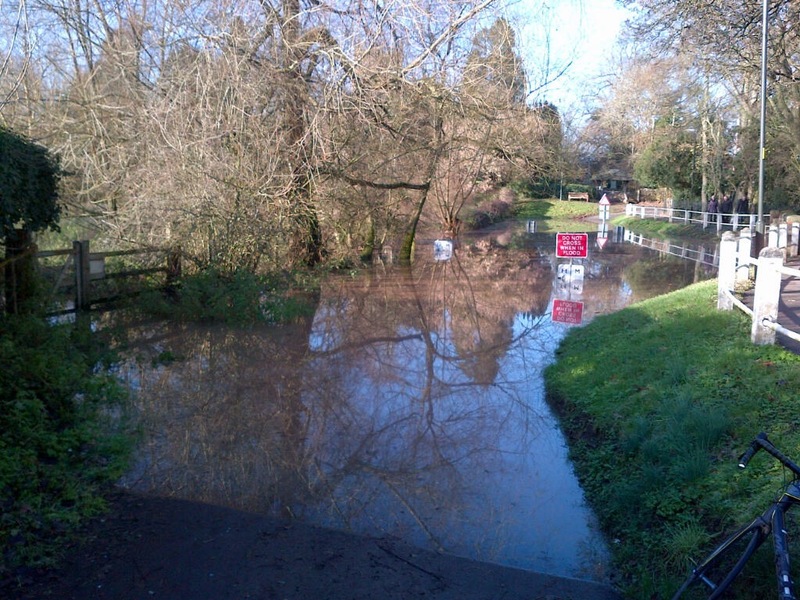 Fords and minor river crossings impassable. When we issue flood warnings and describe flood risk as medium we expect to see significant impacts. 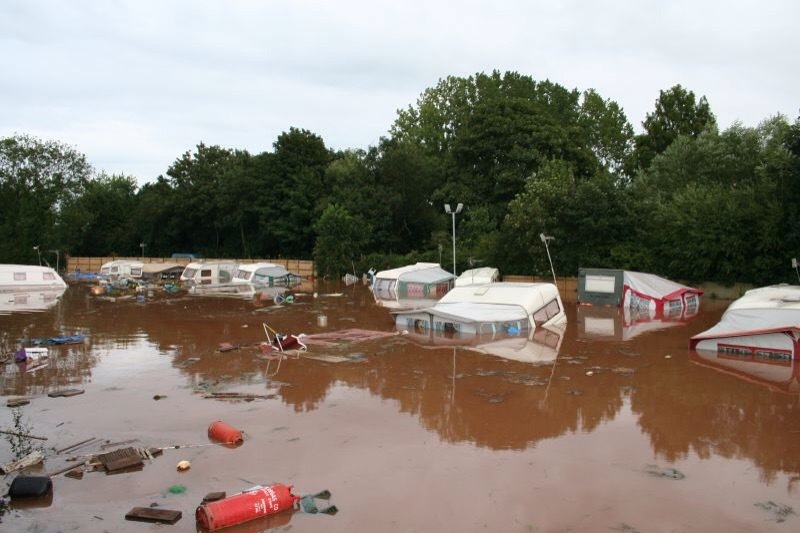 These will include flooding to homes and businesses, possibly affecting whole communities. 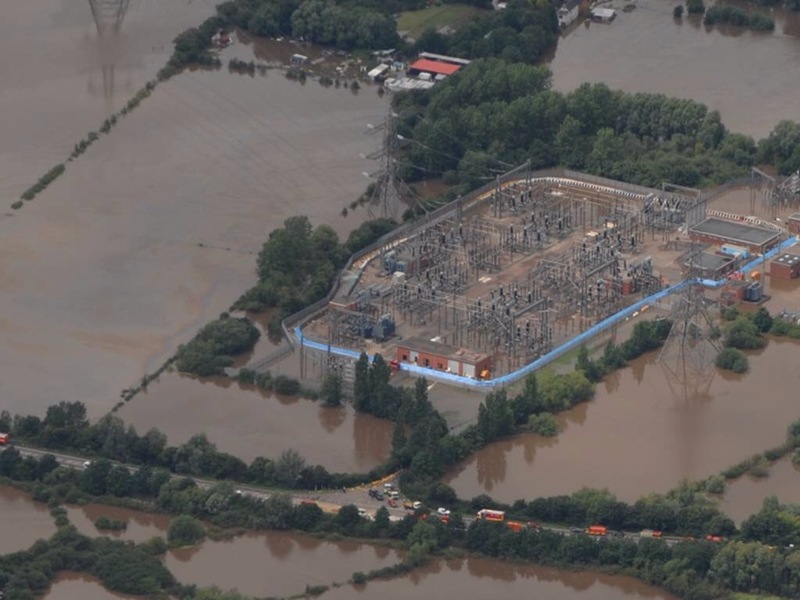 There are also likely to be impacts on local infrastructure and, in some cases, damage to it. Disruption to travel and business are also probable. The fact that we have issued one or more flood warnings does not automatically mean flood risk will be described as medium in our outlooks. 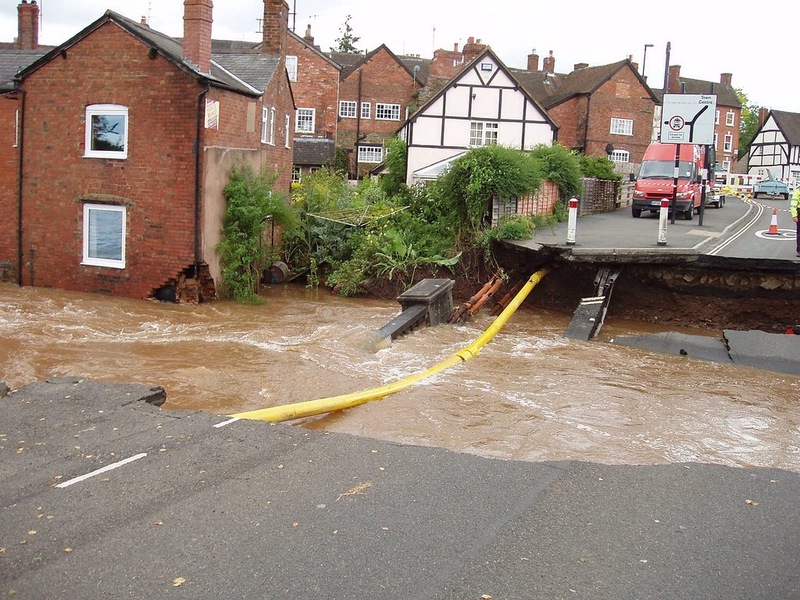 Our assessment of overall risk will depend on the context of the flooding, its overall impact on a County scale and the likely effects on responding organisations. 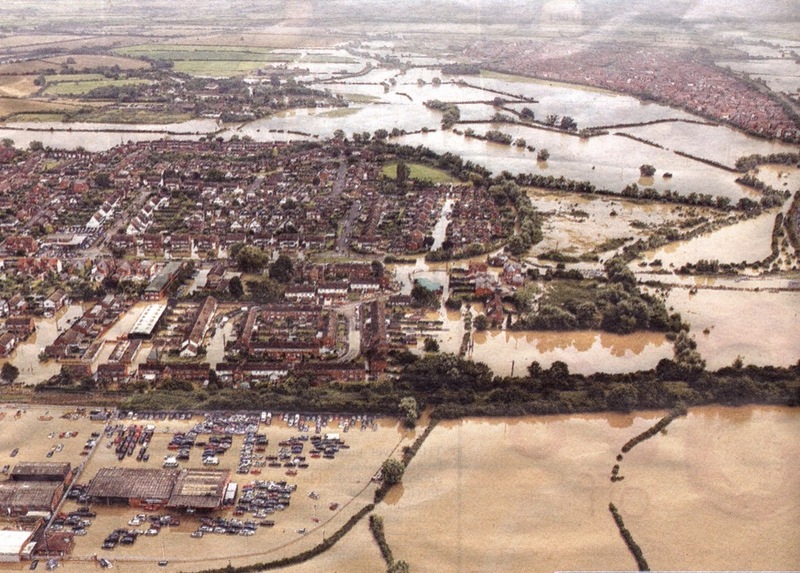 Flooding to homes and businesses. 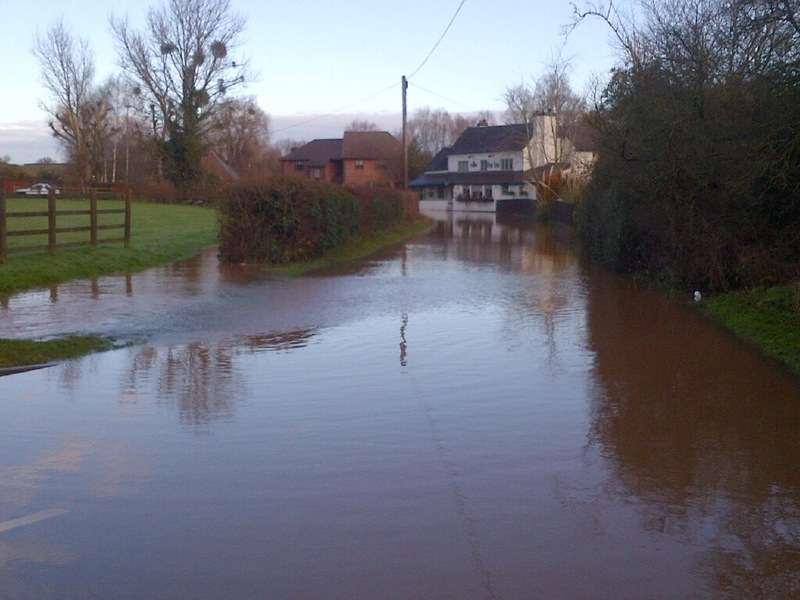 Flooding affecting whole, or large parts of, communities. 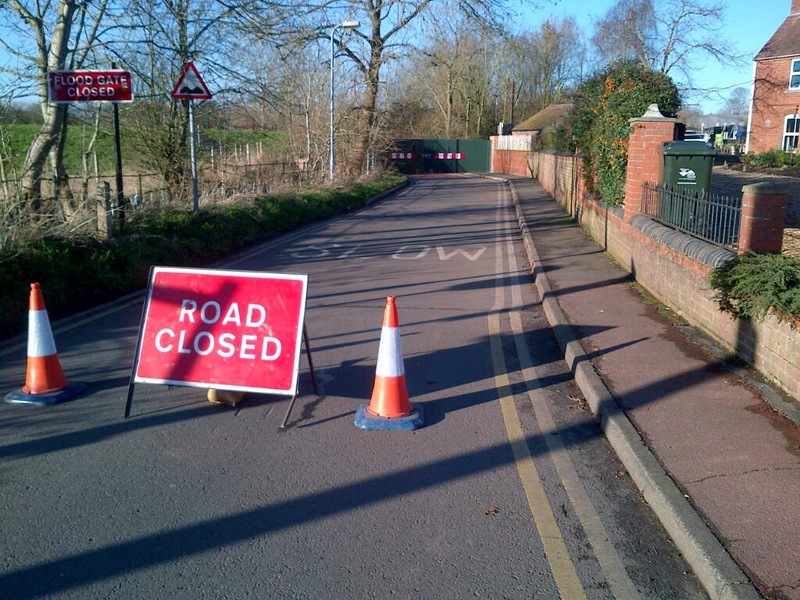 Main roads and railways being significantly affected. For us to issue the highest level of warning or describe risk as high we will be confident that serious impacts will be probable and there may well be a real risk to life as well as property. It is rare for us to issue these warnings or describe risk as high and we will normally have consulted other responders (local authorities, police and fire and rescue) before we do so. How old’s that fish? – Count the rings! 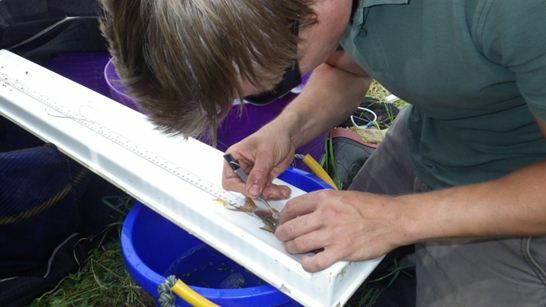 We analyse fish scales to determine the age and growth statistics of fish populations. The information we obtain from fish scales is key to informing effective future management of fish stocks. 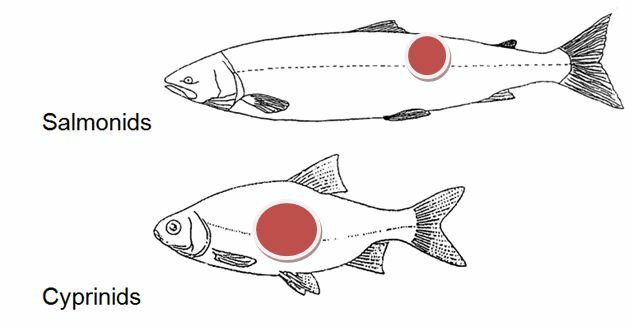 The red areas on the body of the fish are where scales are removed from. Scales are always removed above the lateral line so as not to damage it. The lateral line contains sense organs allowing fish to detect movement in the water. The photo above shows a fish being de-scaled. Tweezers are used to carefully pull out scales. Between 3 and 5 are removed and submitted to the laboratory for analysis. 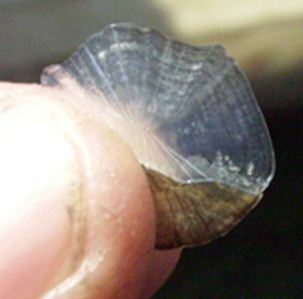 Scales can grow back and are called replacements, however the early growth history of the fish is absent from these scales so they are of no use for ageing purposes. 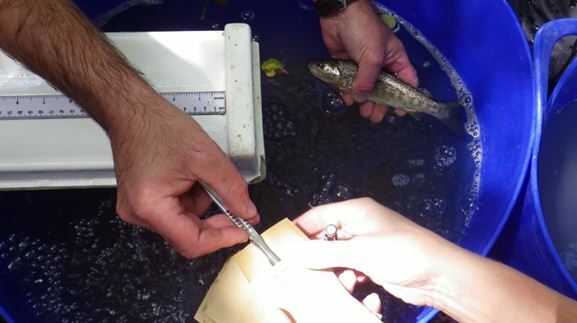 Scales are removed from trout and salmon using a scalpel, the photo shows scales being placed into the storage envelope and a trout being returned to the aerated water. This is a close up of a fish scale. The growth rings are called ‘annuli’. The age is determined by the number of growth rings. The length is determined by the spacing between the growth rings. Like tree rings! 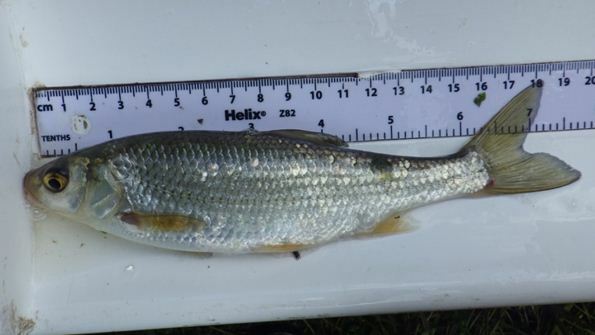 The photo above shows a chub caught at in the River Salwarpe at Droitwich during our routine fish survey in June 2014. It looks slightly ragged because it recently spawned. This fish is 319mm long and aged at 9 years old, which is written as 9+. 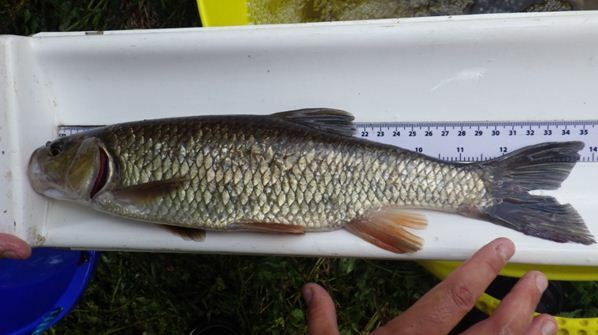 The oldest chub caught during the survey was aged at 11+! Eleven years old is a fantastic age for a chub as they grow slowly. 12 years is the maximum life expectancy for chub. This is a dace, also caught in the River Salwarpe at Droitwich during our routine fish survey in June 2014. This fish is 175mm long and aged at 5 years old (5+). This is a good age for this species; it matures in its second year and rarely lives longer than 7 years. 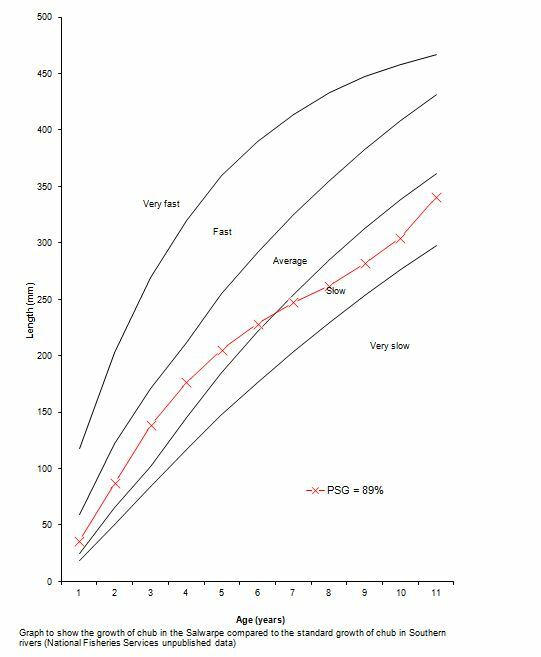 The red curve on the graph shows the growth rate of chub in the River Salwarpe. It shows that they grew at an average rate in the early life stages, and then slowed. This can be attributed to water quality, the availability of food (invertebrates) and the availability of suitable habitat. This table shows the length of the chub calculated during each year class. From this data we can ascertain the health of fish populations within the river system and compare it to annual trends. This data is of particular interest to anglers. Arc Boat 50 arrives in Shropshire! 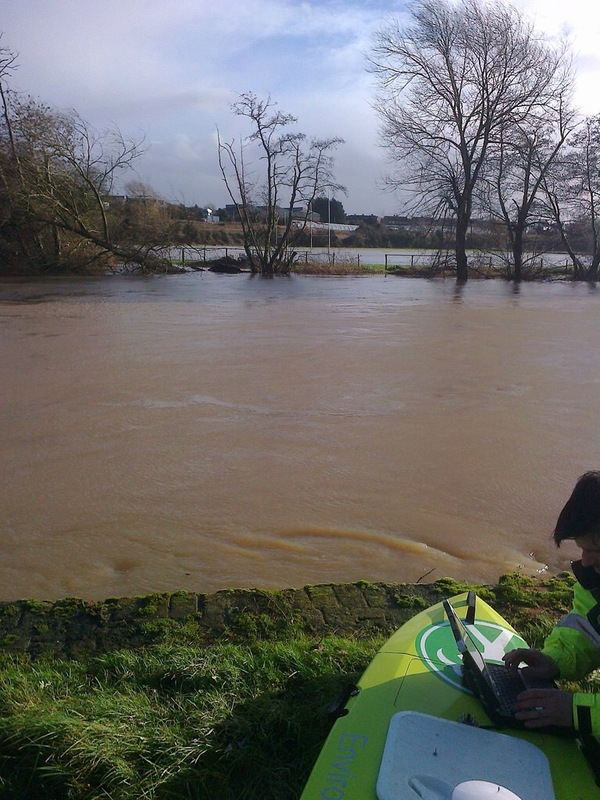 ARC-Boat number 50 will be the newest recruit to the Environment Agency Shropshire team, helping us issue quicker and more accurate flood warning information to local communities. 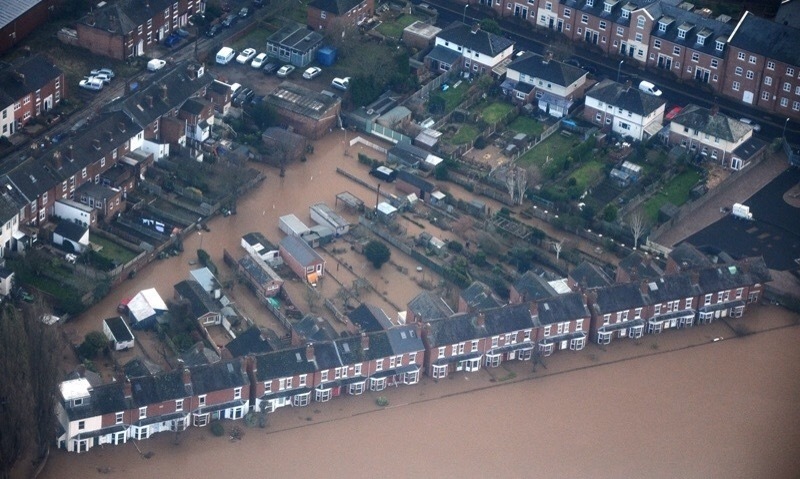 During times of high river levels, the boat may be seen at sites along the river Severn including Montford, Shrewsbury, Ironbridge and Bridgnorth. The boat will be used to survey the river bed of the Severn, Teme and Tern, sending important information to our teams. 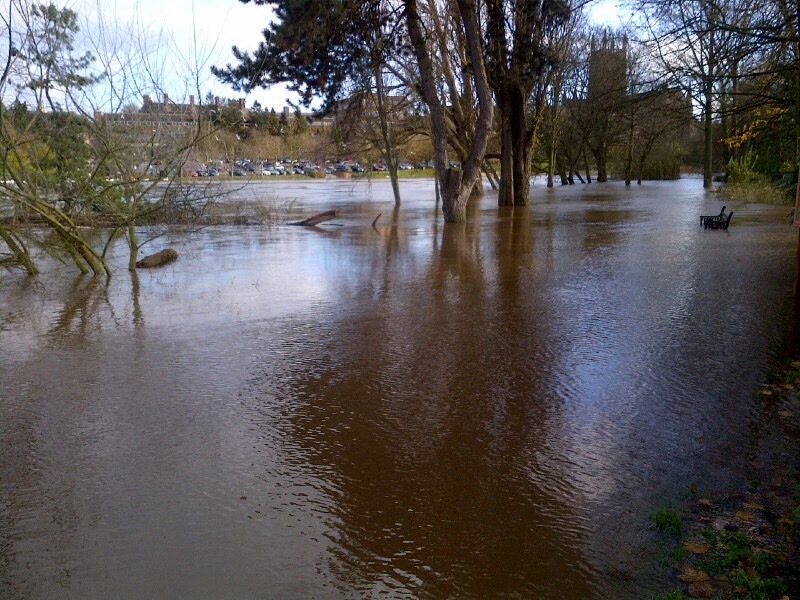 By measuring river flows at a full range of levels our flood models are massively improved. The flow data allows calibration of the flood models that in the past could never be gained across the full range. Without actual flow data our flood models are theoretical which is OK, but rivers are dynamic systems that change massively over time and this new flow data allows our people to calibrate the models much more accurately. Better calibrated flood models mean much better flood predictions and therefore more timely and correctly issued flood alerts / warnings. The boats are manufactured by HR Wallingford in Oxfordshire and have been sold to customers around the world including in Canada, New Zealand, France, Azerbaijan. The Environment Agency already has around 30 of these boats in operation across England, but this one is special as it is the 50th to be produced. 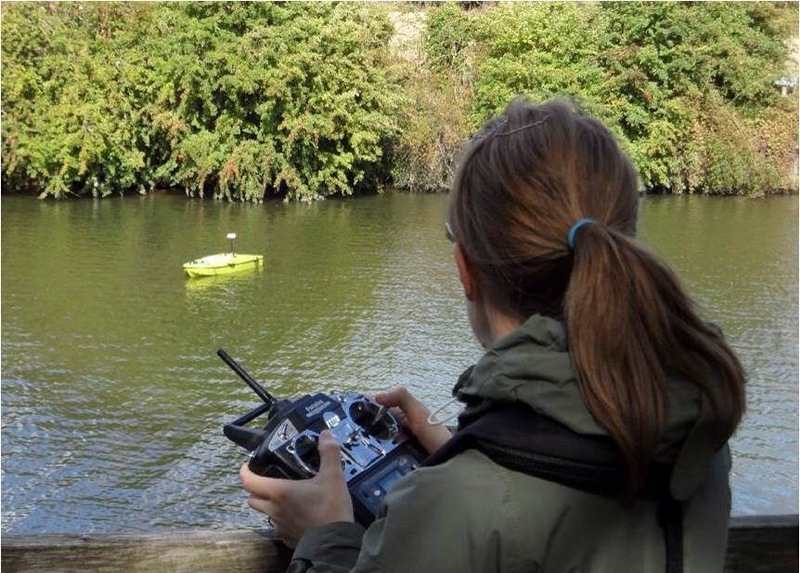 The boats are remote controlled using electric motors and measure the speed and depth of the water to enable it to calculate river flow. 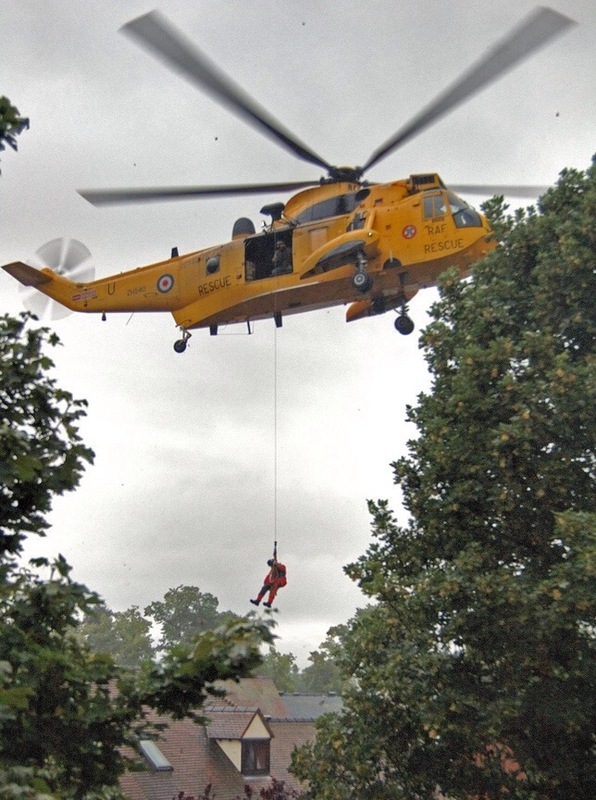 They allow us to easily and safely reach places where humans can’t, such as under bridges or during high-flows/floods. 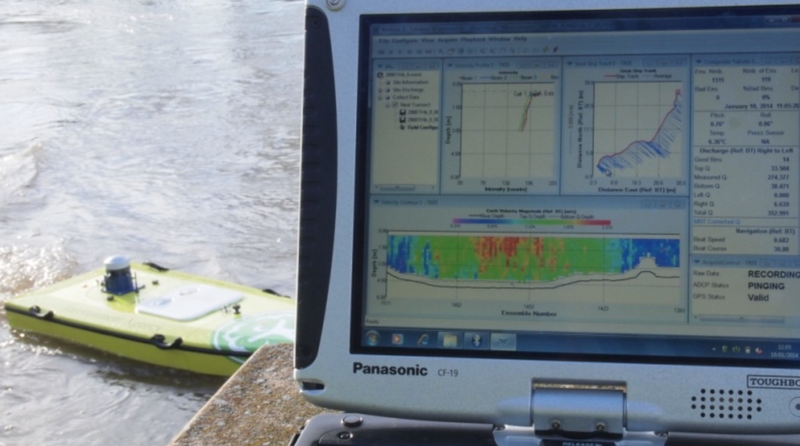 Ultra-sound pulses, similar to that used to scan pregnant women, are used to collect important data from the river. The boats can operate in river speeds of up to 3 metres a second, meaning they’re capable of dealing with most flows the River Severn has to offer. 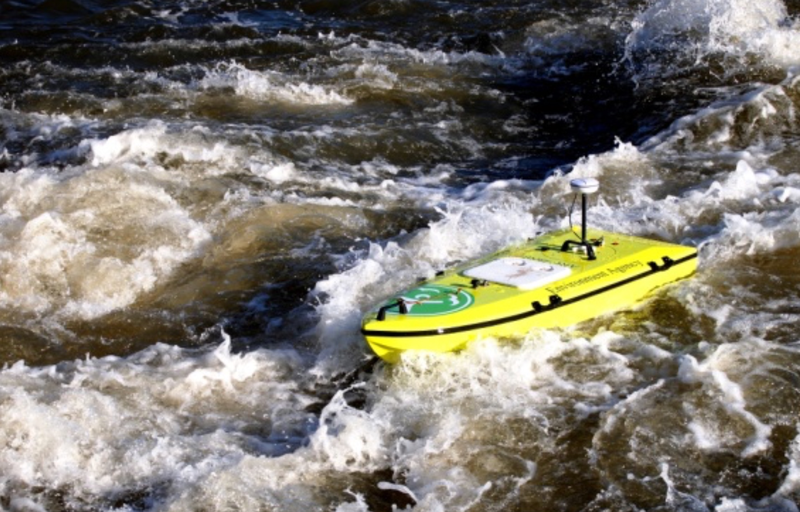 As well as collecting flow data, the new boats also scan the river beds. 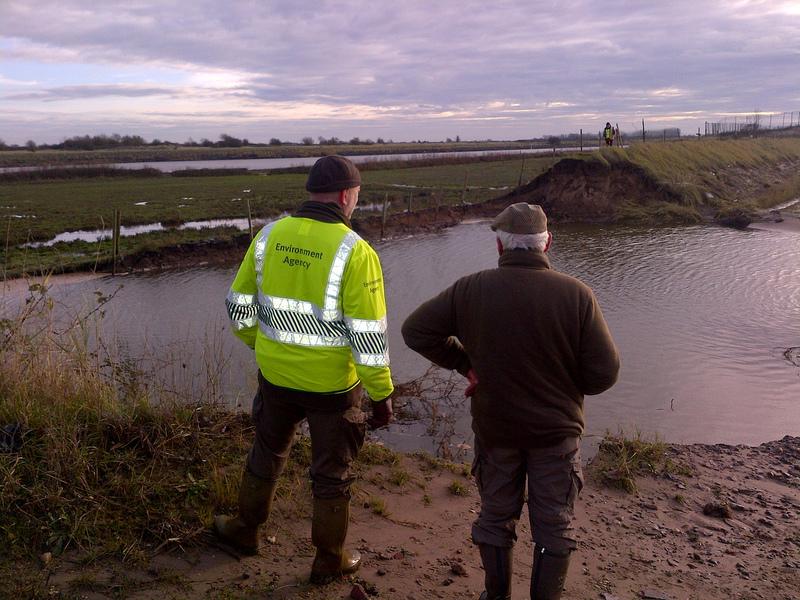 This gives staff information about any debris build up which could cause flooding. It also allows staff to get a much better understanding as to what exactly is happening beneath the river surface.